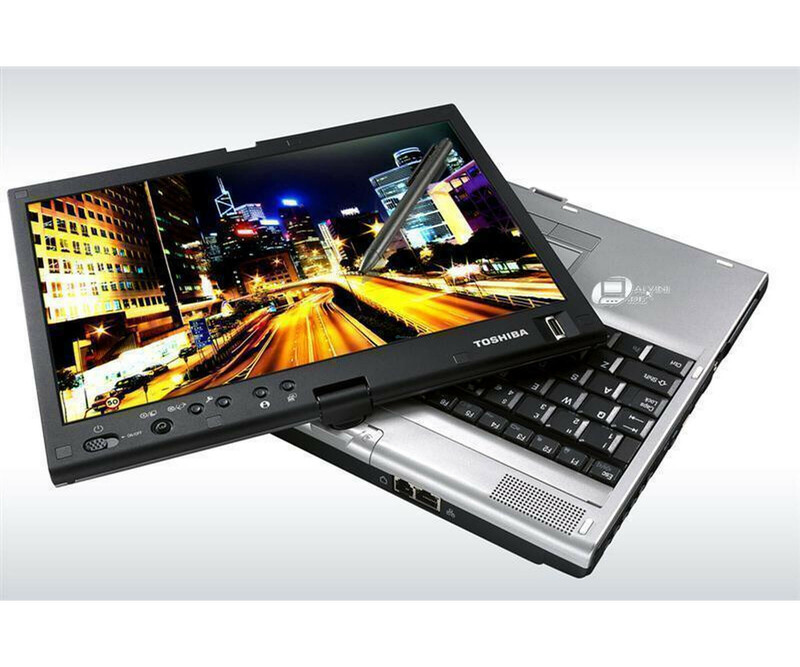 Companies of various sizes get a versatile 2-in-1 notebook with the Toshiba Portégé M400. The 30.73 (12.1 inch) screen can be rotated quickly and easily to turn the device into a tablet PC. 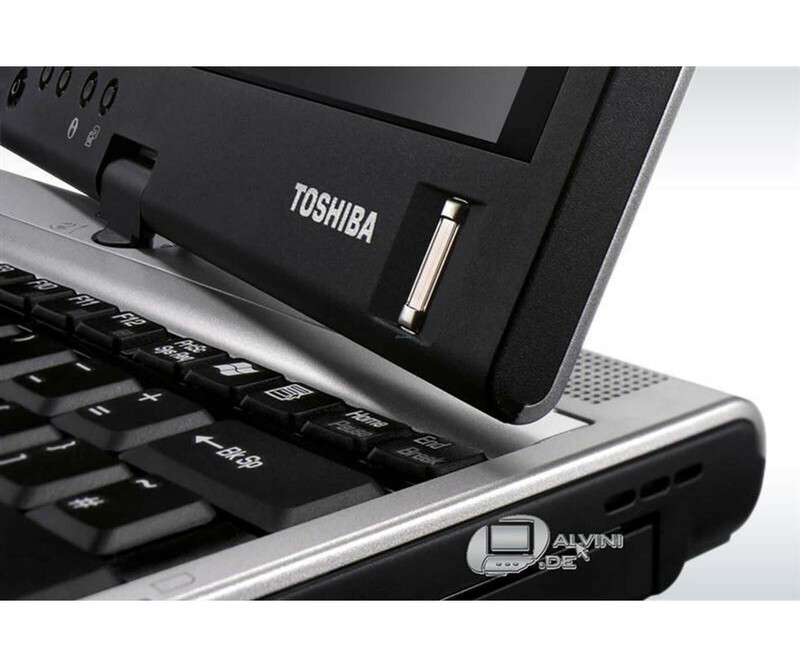 Companies of various sizes get a versatile 2-in-1 notebook with the Toshiba Portégé M400. The 30.73 (12.1 inch) screen can be rotated quickly and easily to turn the device into a tablet PC. From us you get the used notebook for the budget-friendly price, whereby it is technically of course perfect. 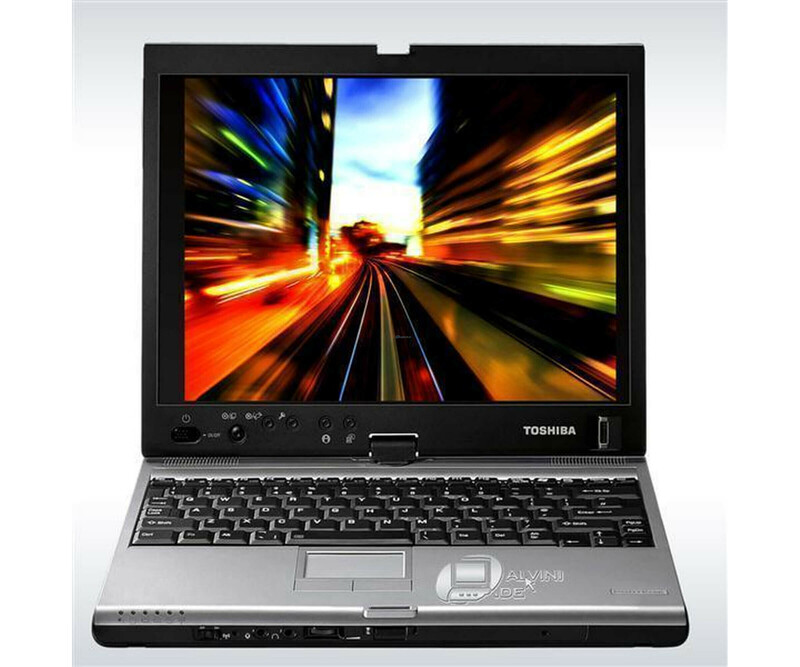 With the hardware of the Portégé M400, Toshiba mainly relies on technologies from Intel. Therefore, an Intel Core 2 Duo T5500 is installed in the notebook, which provides the necessary computing power with two cores and 1.66 GHz clock. Likewise, 1 GB DDR2 memory is already included, which can be expanded up to 4 GB if required. 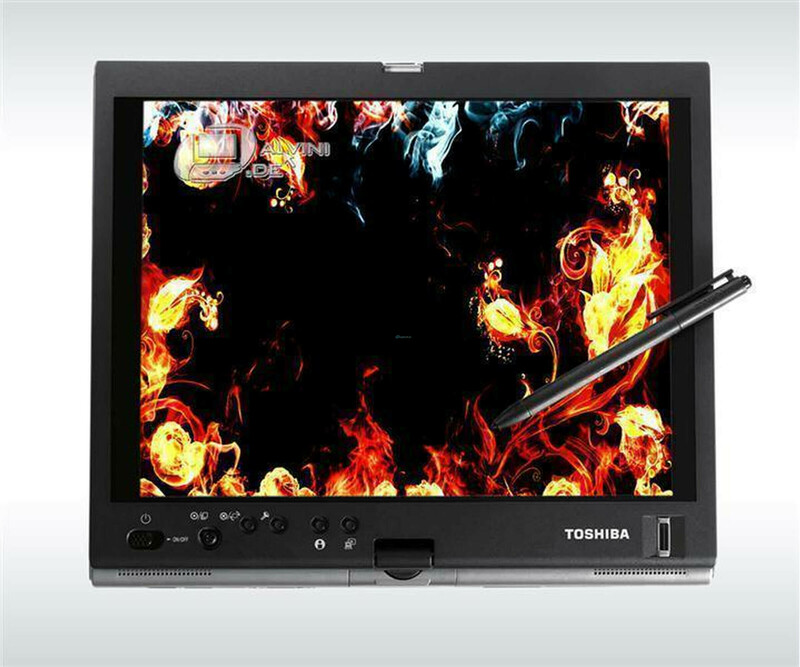 The Intel GMA 950 is responsible for the display on the 12.1 inch display of the Toshiba Portégé M400. In addition to the resolution of 1400 x 1050 image points (SXGA +), the integrated digitizer is particularly convincing. Thanks to the latter, you can easily create sketches, notes, and other drawings with the active stylus. By touch, you can also use the 2-in-1 tablet. You can optionally use the integrated LAN card or the Intel Pro / Wireless 3945ABG WLAN module to establish the Internet connection. 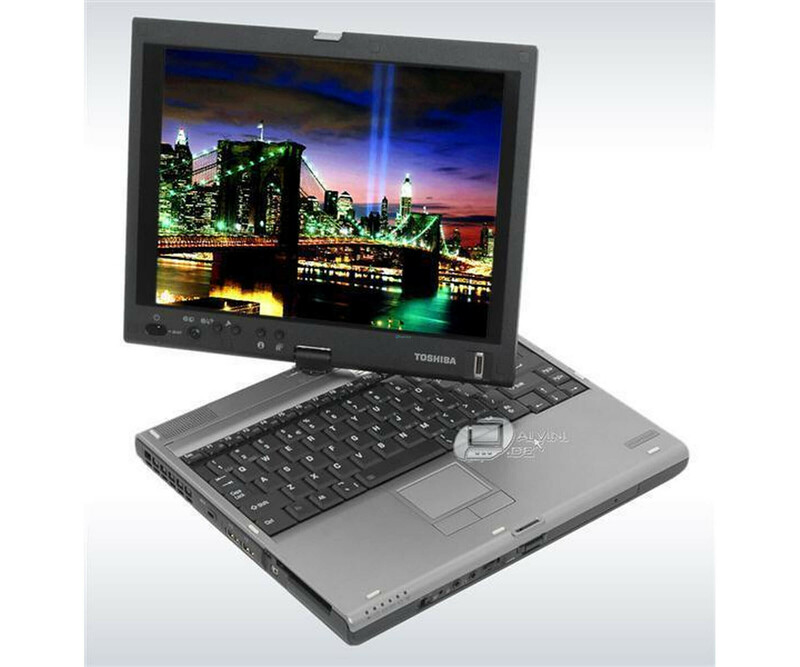 In addition, the Toshiba Portégé M400 offers various interfaces, including three USB ports, a VGA port and a FireWire port. 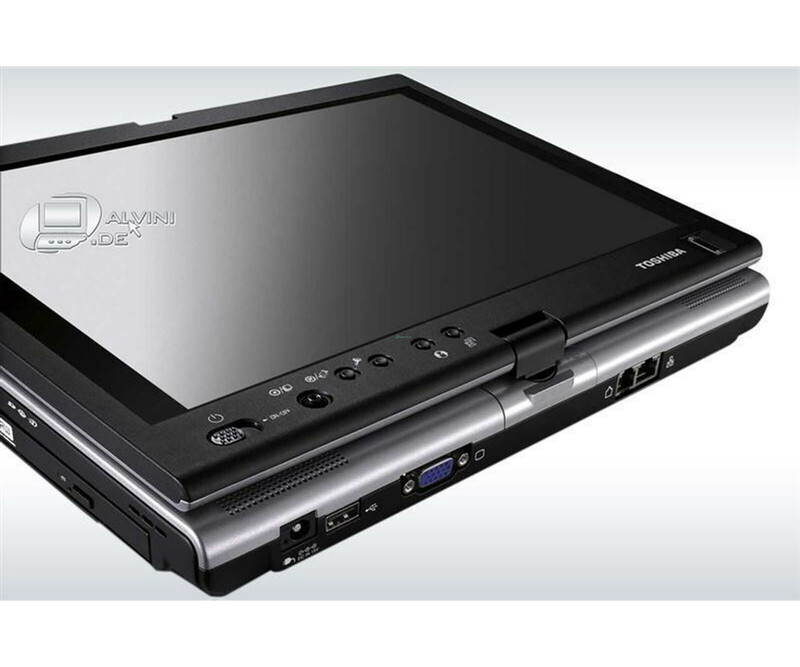 With an optional docking station, the notebook can be used even more conveniently in the office.